Iran says efforts by countries to expand post-sanctions trade ties with it are being hampered by the United States because Washington does not see itself as a beneficiary of the re-opening of the Iranian business environment. 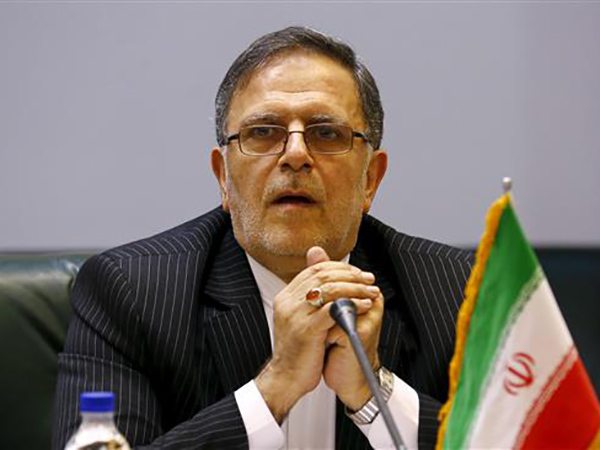 Valiollah Seif, the chancellor of the Central Bank of Iran (CBI), said this has made the US behave differently from other parties involved in a nuclear deal they signed with the Islamic Republic last year. The deal between Iran and the five permanent members of the Security Council plus Germany – the so-called P5+1- came into effect in January. It envisages certain steps by Iran to limit its nuclear energy activities in return to moves by the P5+1 to lift certain economic sanctions against the country. “The P5+1 want to increase the level of their trade activities with Iran after the implementation of the deal,” Seif told a top Chinese banking delegation. This is while, he said, the US is not interested in the prospects for the expansion of trade ties between Iran and other countries, particularly its own peers in the P5+1. The US maintains a series of primary sanctions against Iran which are effectively discouraging businesses from approaching Iran over fears that they may face hefty fines by Washington. At the heart of punitive measures still in place by the US are strong restrictions against dollar-based transactions involving the Islamic Republic. This has already prompted complaints from Tehran as a manifestation of how America is failing to properly implement its share of the nuclear deal with Iran.